Promotes relaxation and is a stress reliever. The safe, relaxing and nurturing space I provide you with offers the ideal support, loving touch and balancing energy that’s just perfect to support you through this transition into your 4th trimester. The postnatal period is often very overlooked. I aim to honour the amazing birth you have experienced and your journey into motherhood by honouring all of you. 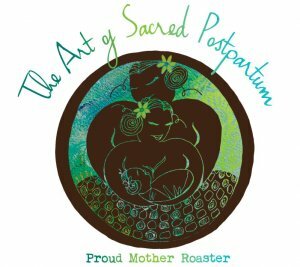 Sacred postnatal mother roasting is the care of the new mother focusing on the total health and gentle recovery of a woman as she embarks on this journey into motherhood. It is the tender wrapping up of the healing soul, warming of the body and binding the mother through gentle loving arms of a sister. 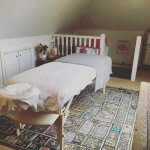 Reclaiming the traditions of postnatal care my mother roasting service will offer all you need to seal your birth and ease you lovingly into motherhood with healing foods, sacred baths, warming and binding bellies and massage, tinctures, oils, teas, loving hands and an open heart is all available to you. this package aims to lovingly care for you during the first 6 weeks after your birth. I will visit you once a week at your home with a food box (menu will be sent to you before), herbal/ floral bath and belly bind. I will offer a warm oil rub down with full body massage including closing the bones and tuck in with gentle meditation. While you are tucked in I prepare the herbal bath, while you are bathing I can prepare a dish from your food box, the cleansing broth is always good after a treatment and a pot of herbal tea with lactation cookie. Before you sit to eat I bind your belly which can be left for a week until I next visit or however long is comfortable for you. I will hold baby if needed while you are tucked in, bathing or simply want to enjoy your tea and food with two hands! I will also wash the dishes and rinse the bath out if needed and so that after I leave you can just relax and enjoy the feeling of post treatment bliss. If you would like to extend the 6 weeks additional treatments can be discussed. 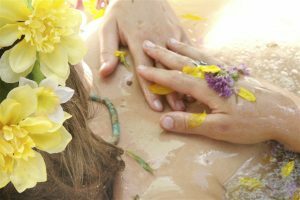 this healing mother goddess package welcomes you into motherhood with open arms and gentle loving care. I begin by smudging and cleansing our sacred space and preparing a beautiful alter. traditional, warming closing of the bones and full body massage with tuck in. This traditional and ceremonial massage adds a moment of stillness, meditative peace and reflection. 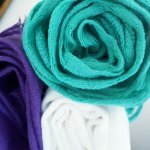 The rocking and wrapping with the rebozo shawl is deeply relaxing and feels safe. The full body massage is warming and releases tension, bringing our attention back to the body. This important part of recovery and healing is traditionally used to comfort, support and hold that womb space. This can feel like a real spiritual closure of your pregnancy, it looks and feels amazing too!You are left in the belly bind either overnight or for 3 days, however long feels comfortable. One who works with the hands is a labourer. One who works with the hands and head is a craftsman. One who works with the hands and the head and the heart is an artist. I cannot stress enough the importance of massage and loving human touch for our whole well-being. I am passionate about massage and dedicated to helping people feel good in their bodies. Using my heart, hands and head as I do with all of my work I aim to provide loving touch using techniques and appro aches developed over centuries of body work. Training with the Jing institute of massage in Brighton gifted me with their wonderful fusion of east and west and the power of an informed touch. We are energy, that’s just a fact. Our busy and sometimes chaotic lives can disrupt healthy energy flow which affects our whole being. I believe that if we do not protect, balance and care for our energy then we will suffer for it and become unbalanced. I found that when I was led to train in Reiki I found a balance that I had been searching for. Reiki means universal life force energy, it is a gentle laying of hands while channelling healing energy through the body. Reiki works on 4 levels, physical, emotional, mental and spiritual. Reiki is a gentle treatment and safely compliments any other therapy while promoting health and well being. It can be used during any stage of life and is wonderfully balancing for transitions. Reiki during pregnancy and the 4th trimester is perfection! The wonderful thing about a treatment is that Reiki will travel where it is needed. If you are feeling tired then you will feel refreshed, if you are anxious then you will feel calmer, if you are distressed then you will feel comforted. It balances at every level. The treatment should last around 45 mins, as with all my treatments allow a little longer for your first visit. Full body postnatal massage blended with the traditional Closing the bones. A treatment that is loving, warming, healing and celebrating your AMAZING postnatal body. With hand made warming oil and wrapping inspired by the Mayan tradition. This massage goes beyond the physical benefit and has amazing spiritual and emotional benefits too. Visit the dedicated website for more information on the losing the bones element of this treatment visit Closing the Bones Massage. This treatment should take around one hour, allow longer for your first visit. This is a full body honouring and worship of your amazing body! Tender and loving of course. Great for releasing tension, soothing those aches and stretching out that stiffness, relaxing and comforting. 45 mins to 1hr allow longer for your 1st visit.